Last year in the UK 11.7 million working days were lost to stress-related issues with a huge impact on businesses in terms of revenue, efficiency and staff retention. That means that 45% of all working days lost due to ill health were down to stress. The physical impacts of stress can be easy to track and it’s not just the obvious doctor’s notes for people being signed off with stress. 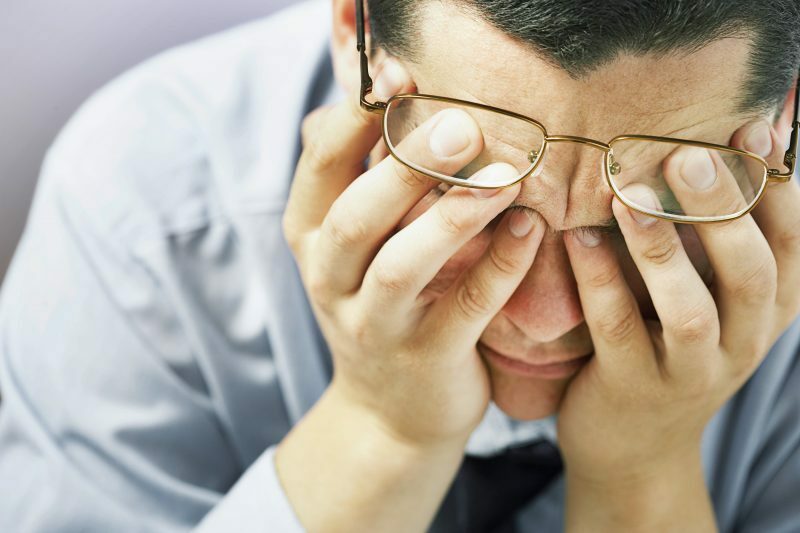 Time off might be due to headaches, Irritable Bowel Syndrome or problems with high blood pressure. Not only that but long term stress impacts our immune system so we are more likely to be off with colds and flu. The impact of stress on our emotional and intellectual health can be just as significant. Staff don’t have to be off sick for stress to impact their performance because we know stress leads to poor concentration, low motivation and low confidence. The cocktail of chemicals released into our bodies to help us deal with stress makes it difficult for us to think clearly which means we find problem-solving difficult, our memory is impaired and we find ourselves making poor decisions. The impact of stress on a workplace goes way beyond sick pay and lost hours. High staff turnover, poor performance, low morale and motivation, higher levels of accidents and complaints and ill health are all knock on effects of stress that impact on a business’s bottom line. And, let’s not forget the impact of work-related stress on our home and family lives. Stress at work leads to a miserable time at home. Stress causes us to snap at our nearest and dearest, we have a tendency to withdraw from our usual social activities and we find that we don’t have the time or the energy to do the things we love doing, the things that evenings and weekends are all about. So all in all stress is a pretty bad thing, especially in the workplace. Research shows us that most work-related stress is due to excessively high workloads and unrealistic deadlines leading to a feeling of overwhelm and lack of control. Conversely, it can also be caused by insufficient workloads leading to people feeling undervalued. Either way these are things that feel out of our control. If we are set tight deadlines and given too much work, we can’t change that. If our company is in trouble and going through a restructure, there is nothing we can do to stop that either. Under these circumstances it feels like stress is being put upon us and we don’t have any choice. Yes, life can be stressful, but the good news is that doesn’t mean that it has to make us stressed. To put it in more modern terms, it isn’t what happens to us that dictates our levels of stress, it’s how we think about what happens to us. This is where a little bit of good stress comes into the equation. Yes, you heard me right, good stress. Stress isn’t all bad you know! Yes, the ‘threat stress’ we feel when we’re overwhelmed is not good, but there is also ‘challenge stress’ – this is the stress we feel when faced with a challenge, when we need to stand up and give a presentation, or dance in front of an audience. That bit of a rush that helps you to step up to the mark and out of your comfort zone. That is challenge stress. That is good stress. You see, a challenge is something we can overcome, a challenge is something we can tackle – when faced with a challenge our brain can’t help but look for a solution and help us take action to solve it. But when faced with a threat our brain goes in to fight or flight mode which is not a great place to be. Our brain floods our system with our stress hormone, cortisol in order to prepare us for the coming situation – which is great if we are faced with a marauding lion, but not great if we are in a team meeting! Cortisol isn’t just about increasing our heart rate and getting our bodies ready to run, it also fogs our brain making it more difficult for us to take information in and it slows down our creative thinking processes – after all it wants you to put all of your attention on running away not on weighing up the pros and cons of the best route to take, by the time you’ve done it may be too late! So how can we change ‘threat stress’ in to ‘challenge stress’? A subtle, yet significant change in how we are thinking about it gets us on the right track. Let’s say we’re given a tight deadline on a piece of work and our instant reaction is “I’m never going to be able to do this”. Our brain looks at that information and classifies it as a threat – this is something we can’t do. And because we are sure we can’t do it our brain doesn’t even try to find a solution – why on earth would we waste energy on trying to find a solution to something that we know we can’t do when we really need to give all our energy over to the fight or flight response for this threat. Take the same piece of work, on the same deadline but this time we have a different reaction. This time we look at the situation and say “wow, this is tough, how am I going to be able to do this?” A subtle difference but an important one for our brain. Our brain now sees this situation as a problem to solve, one that requires a bit of ‘challenge stress’ not ‘threat stress’. It can afford to give it some energy and time as we aren’t trying to run away from it. Without the cortisol slowing down our thought processes we are able to think more clearly, and start taking action, something that gives us a sense of achievement as we are moving in the right direction rather than feeling stuck and panicked. So the good news is we can take back some control from stress caused by work. Can we change the deadlines? No. Can we change our workload? No. Can we change how we choose to think about it? Yes. Can we choose how we react to it? Yes. Work can be stressful, but that doesn’t mean we have to be stressed. Of course, it sounds easy when you’re reading it off the page but it’s not always so easy in practice as our brain gets stuck in thought patterns that it is used to being in. And this is where hypnotherapy comes in – overriding our automatic responses and helping our brain to see things in a different way; calming down the part of our brain that is on high alert looking for the next threat; and kick starting its problem solving programme instead of its fight or flight one. So if you’re finding work-related stress is taking over your life it may be time to contact your nearest Inspired to Change hypnotherapist to book your FREE initial consultation. Inspired to Change Hypnotherapists are based across the UK in Bristol, Cambridgeshire, Devon, Kent, Leicestershire, Northamptonshire, Norfolk and Somerset.